Longitudinal steel 4-20 mm bars. 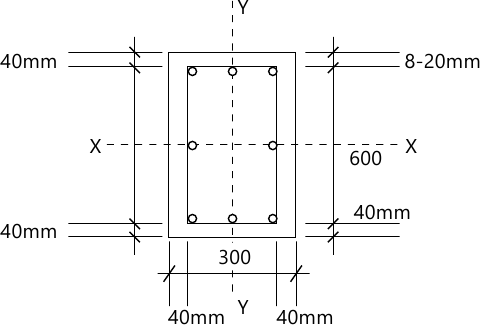 5 (b) The column section as shown in fig is subjected to an axial load of 600 kN and a moment of 12 kNm about y-y axis. Calculate maximum stresses in compression in concrete and steel. Also check whether the section is safe. The materials are M20 and Fe415.